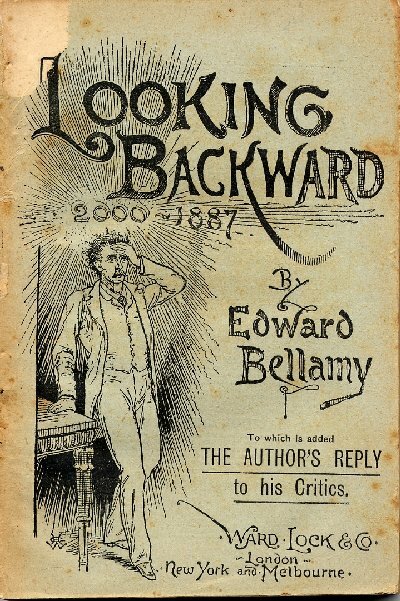 Looking Backwards by Edward Bellamy | bookworm on the go. So I attacked this novel solely because it’s the next book to read for my 19th Century American Lit. class. So… to cut the suspense, I think I’ve just been having bad luck with books lately. Quick Synopsis: Julian West falls asleep in 1887, due to hypnosis, and wakes up 113 years later in the year 2000. Everything’s changed. The “evil” and “self-serving” capitalist society has been abolished, replaced by a utopia of sorts. In short, the novel glorifies communism and the main character has a mental breakdown near the end when he pities himself for having lived in 19th Century America, where he believes society was inherently corrupt. My thoughts: When I first picked it up and read the first two chapters or so, I was actually intrigued. I like books with a sci-fi element, and ones that ask you to stretch your imagination a little. My interest, er… ended there. Before I explain what I think is the downfall of this book, I’ll give it to Bellamy – he’s a passionate author. You can tell he’s probably made sweet passionate LOVE to the ideas that he presents within the novel. All the ideas in his novel are extreeeemely fleshed out, and of course – they make you think. bookworm on the go. · i write about books and i write about travel.